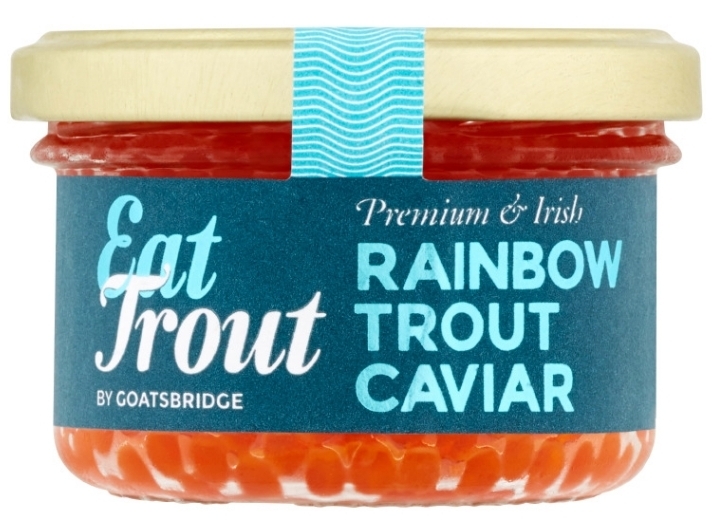 View cart “Trout Caviar 85g” has been added to your cart. Fresh water caviar is a true delicacy. For those of you who have never tasted caviar before, you will be delighted to learn that our caviar is very mild and never tastes “fishy”. 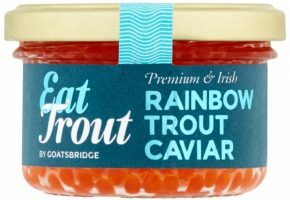 For the true connoisseur of fine caviars, you will discover that Goatsbridge Caviar will delight your palate and astonish you with its level of superiority. Our eggs are much smaller than salmon eggs and the color often is brighter. The trout caviar is packed in a sterile glass jar. Refrigerate between 0ºC and 4ºC and eat within best before date. Consume within 5 days of opening. Ready to eat. No heating required. See our recipe section for ideas.